Ab incredible variety of talented people contributed to the book, De La Case A La Villa. Many are not of African origin, although all share a certain vision of the world, I think. 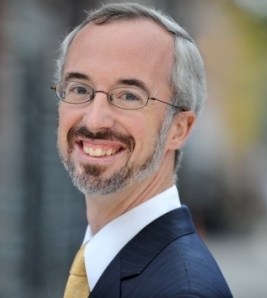 Richard McMillan is an American registered architect, trained at the University of Tennessee, with an MBA from NYU's Stern School of Business. Besides working full-time in the architectural field, Richard is also a publisher. 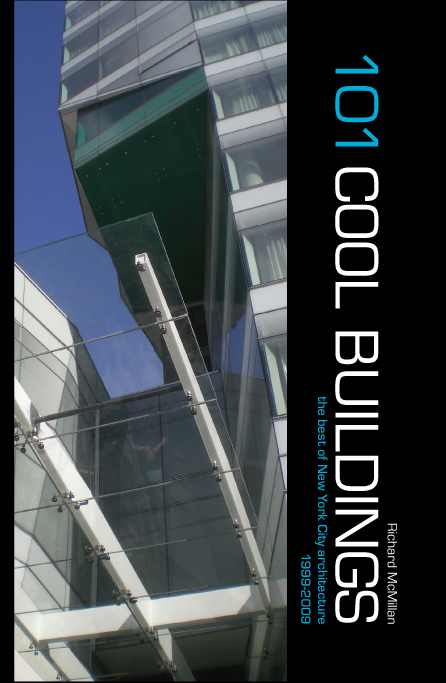 His book, 101 Cool Buildings (The Best of New York City Architecture), is an ode to the plethora of interesting contemporary architecture in New York City. Beyond architectural themes, he also publishes choral music (RM Choral Music). Landry Tientcheu is a specialist in sustainable energy by day, and a talented singer by night. Landry, who is of Cameroonian origin, and currently lives in California, USA, wants to use the platform of his music to tell a different story about Africa. He wants to tell the story of a gifted Africa, of an educated Africa, of a knowledgeable Africa, of a prosperous Africa, one that doesn’t inspire misery and neediness. As Landry eloquently states, “Misery is real, but it doesn't bring out the best in us. Successful and inspiring stories of Africa, on the other hand, inspire people to invest in themselves and in others. People only invest when they feel good about themselves, about others, and about where we are going as a species." 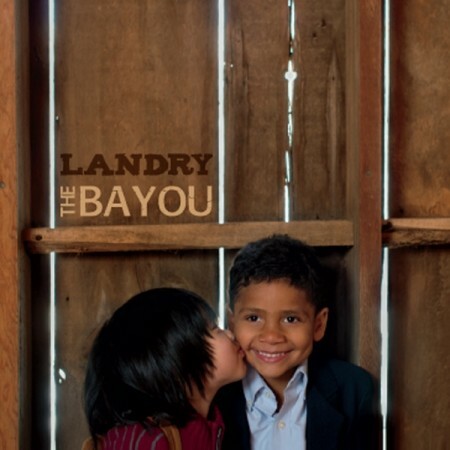 I call Landry's new album "Jazz with a French African accent" - it's called Landry at the Bayou. Calabar was an international sea port as far back as the 16th century. Calabar Imports is a fitting name for Atim Annette Oton's Brooklyn-based stores. I visited her in the seasonal Dumbo store, at The Shops at 145 Front Street. 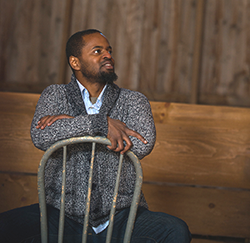 Atim is one of the first African-born architects we met in New York. At the time she was teaching, and publishing a design magazine called Blacklines; she had interviewed my spouse, Epée Ellong, for an article about his architectural projects in Cameroon. It's now my turn to write about her! The store and business is owned by Atim Annette Oton and her mother, Heloise Annette Oton. The main store is located in the Crown Heights neighborhood of Brooklyn, NY. Calabar Imports carries a dizzying array of unique handcrafted items: affordable fashion clothing, fashion accessories, jewelry, home decor and gifts. The business was created in 2004. Atim and Heloise had originally planned to open a store in the city of Calabar, where Heloise had lived for 16 years, and Atim was born. As they had collected many beautiful items, they decided to sell it in New York. At first they participated in street fairs in Brooklyn International African Arts Festival), Queens, Manhattan (Black Expo, Harlem Book Fair), the Bronx, and in Connecticut. While participating in the Washington Avenue Street Fair in Prospect Heights, Atim noticed a atore for rent, and so in August 2004, the store was opened. Calabar, Nigeria is at the estuary of the Cross River on the Atlantic Ocean; it was a trading post for the Portuguese, Scottish and English traders. It was settled in the 17th century by the Efik people, and served as a center for trade between Europeans and the people living further inland. The name is fitting for a business focused on such an international variety of goods, from Africa, Asia and more. I saw items priced at $2 (little coin purses), $7, $30, $50... there is something for all budgets. I hope that all you gentle readers will do your best to help support this business! *Atim Annette Oton is a designer and architect by education and training; born in Nigeria, she attended the City College of New York in Harlem and the Architectural Association Graduate School in London, England. She worked at several firms including Davis, Brody, Bond in New York City. In 2000, she was part of the design team that won the African Burial Ground Interpretive Center. In the same year, she was hired as the Associate Chair of Product Design at Parsons School of Design. She also worked as a design consultant on the Underground Railroad Railroad Experience, a cultural education website from 2000 – 2004; and won an Independent Grant from the NYSCA on her work, the Black Hair Salon in 2002. In 2002 and 2004, she participated as a designer for the 3rd and 4th Annual Bridge Street Development Corporation’s Bedford Stuyvesant Design Showhouses. Recently, she was a consultant to the Bronx Council on the Arts for its Artisan Institute, an innovative idea focused on micro-enterprise for craftspeople in the Bronx. Atim's work has been published in Architecture Record, Design Build, Design Architecture.com, Oculus and Blacklines Magazine. She has exhibited at the Architectural Association, London, Schomburg Center for Research in Black Culture, the Institute for the Research on the African Diaspora in the Americas and the Caribbean (IRADAC), the Bronx Museum of Art and the City College of New York. She has been profiled in Office.com and Diversity.com for articles on Blacklines Magazine. *Heloise Annette Oton is a retired educator, born in Harlem, New York of Trinidad and Jamaican parentage. She spent her formative years in New Rochelle, Harlem and the Bronx before going unto to Hunter College to study Sociology and Columbia University where she focused on International Education and received a master’s degree from Teacher’s College. In 1962, she met and married E. U. Oton, a Nigerian diplomat, and went off to live and work in Nigeria for about 25 years. In those years, she traveled extensively in Nigeria buying and collecting Nigerian art, clothing and some craft products that she sold occasionally on her trips to the US. She also worked in education as a teacher in a secondary school and finally as a Vice Principal of in Calabar and later ran her husband’s printing company, APCON Limited. In 1986, Heloise returned to resettle in New York and to return to work in social service before moving back to teaching after acquiring a Masters in English as a Second Language from Adelphi University. From 1997, she taught at a public high school in the South Bronx where she remained until she retired in early February 2005.